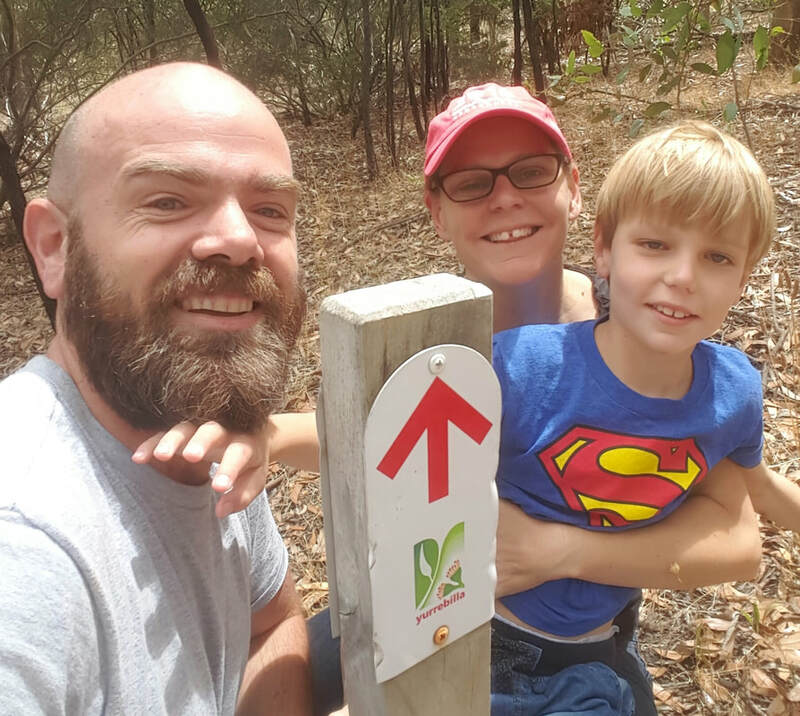 An Australian family who cycled 5600 kms across America with their severely autistic son in 2016 is now aiming tomake a free educational short film on embracing autism for schools globally and finish the filming and production of a feature length School of the Road documentary on South Australia’s Mawson trail. The Saunders family (Travis, Fiona and Patch) spent three months last year riding their bicycles from Washington State to Washington DC. Travis and 7 year old Patch carried all their own gear, camped in the wild and rode a purpose built semi-recumbent tandem to complete the journey. Fiona supported the boys on another bicycle and encouraged her family the whole way across the continental US. The cycling adventure allowed Fiona and Travis to teach Patch to believe in himself and opened the door to a world of connection, community and possibility. They conquered mountain passes including the Rockies, made it over the great plains and travelled some of the USA’s best known bike trails. They met incredible people who have becomeifelong members of Patch’s autism support crew. They filmed the trip and are now working with a dedicated production team to raise the funds for an educational short film about embracing autism. This film will be available free to schools worldwide and focus on the importance of presuming competence to help people with autism achieve success. The Saunders family is also aiming to release a feature length documentary covering the USA trip and an upcoming 900 km cycling tour of the outback Mawson trail from the Flinders Ranges to Adelaide and have launched a kickstarter campaign to help raise the funds. Travis’ commitment to the autism community has been strong for years. He ran 12 marathons in 12 months in 2013 to raise autism awareness and founded the web platform Run4Autism. It raised more than $150,000 for 10 Australian not for profit organisations. Several hundred people used the platform to raise funds and awareness, and Travis has featured in the media more than 80 times. ​Adelaide filmmaker Sam Austin has teamed up with award winning producer Jeff Hann (Director The Coffee Man) to complete filming and post-production of the educational film. One of Australia’s most respected film consultants, Helen Gaynor, has also come on board to work with the School of the Road team. School of the Road is urging the community to get behind their kickstarter campaign to raise the money needed to finish filming and complete the short film and documentary. © COPYRIGHT 2017 SCHOOL OF THE ROAD.. ALL RIGHTS RESERVED.